Dial the Weather Line for up-to-date information on game status. All game delays and cancellations will be announced on this line. 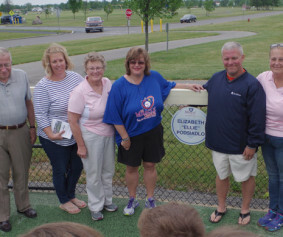 During Opening Day ceremonies Sunday in Veterans Park, the Miracle League of Grand Island and WNY inducted the first three players into the Miracle League Hall of Fame. The first three honorees were Ellie Podsiadlo, Antonio Tallarico, and David D’Angelis, all Miracle Leaguers who have passed away since the league was founded. 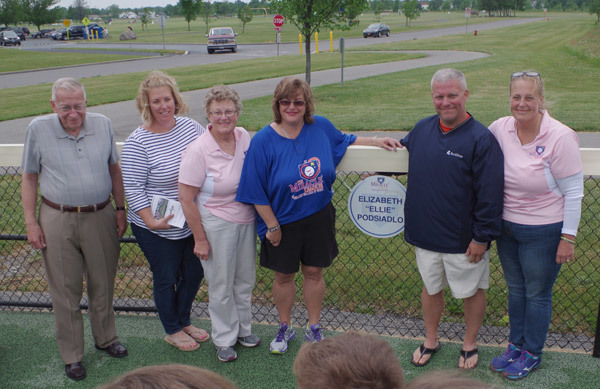 Family members of Podsiadlo, Tallarico, and D’Angelis hung signs with the players’ names on the left field fence. The Miracle League began in 2011 to allow players with disabilities to play baseball using an adaptive diamond in Veterans Park that features a rubberized surface that helps prevent injuries and allows use of wheelchairs and other assistive devices. The league opens its 2016 season with more players, more teams, and more sponsors. Wynne said this year’s roster sizes set a league record. “We’ve got more than 350 players registered and signed up to play ball,” Wynne said, adding players from the Thursday-Sunday league and group home players. “We as a board just look forward to the day that this field can be used every single day,” Wynne said. The Opening Day attendance of spectators was strong as well, he said. “It’s got to be our biggest crowd,” Wynne said of Opening Day, noting that the weather Sunday afternoon wasn’t even that great, and the Gus Macker Tournament going on at the same time might have held attendance down. The complex continues to improve. Since the league built an adaptive playground, with a similar rubberized surface used on the diamond, the special needs children can play with their friends who have no special needs. In addition to the diamond, playground and concession building, the complex was made safer with addition of concrete barriers in the parking lot to prevent cars from jumping the curb and rolling up to the field. The league in the offseason added 100,000 pounds of concrete planters, 25 barriers purchased in a joint venture by the Miracle League and the Town of Grand Island. Dan Robillard and his students at McKinley High School added flowering vinca plants into the barriers in May. 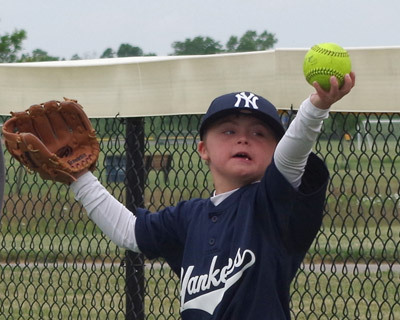 The league has a motto that every child like Maya should have a chance to play baseball. Games with “celebrity buddies” are a huge draw for Miracle League games, Valle said. 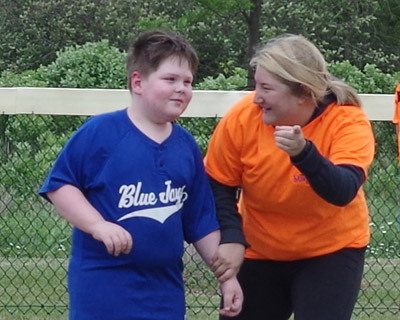 Buddies assist the players in the field, at the plate, and on the base paths, and players look forward to taking the field with special teammates. An upcoming celebrity buddy game is Law Enforcement Day, with members of local police agencies serving as buddies on the field. The game is scheduled for 1:30 p.m. Saturday, June 18.